Have fun discovering Canterbury with two self-guided, quirky, heritage walks with an optional treasure hunt. Buy in booklet or instant download format & get curious! Are you curious about Canterbury? Looking for an unusual and quirky activity which gets you out in the fresh air whatever the weather? Take one of our self-guided walks with a treasure hunt theme – looping around the better-known sights, as well as some of the more unusual and quirky ones, which combined make Canterbury a charming place to explore! You’ll get everything – detailed directions, maps, clues (with answers in the back! ), and interesting snippets about the history of Canterbury and the people that have shaped it. 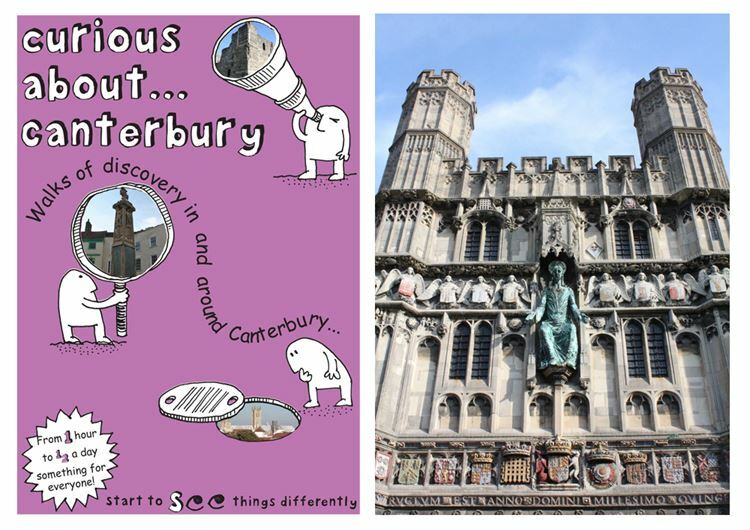 Buy in booklet or instant download format (to use on your mobile device or to print at home) from https://www.curiousabout.co.uk/canterbury.html and explore in your own time. One booklet is enough for four people of all ages to enjoy. Enter code Visit2018 at checkout for a 20% discount on any two or more purchases from Curious About.